Over the past several years, the balance of power has shifted from the seller to the buyer as the digital consumer took to the Internet and took control of the transaction process. Armed with Apple’s iPhone, the first true consumer smartphone arriving in 2007, retail and other B to C industries were forever turned upside down. It wasn’t until a few years later, however, that that smartphone impact was felt in the corporate space. For many years dating back to 1999, Research in Motion owned the corporate sector. Standard practice was for companies to issue Blackberries to executives and their mobile workers. However, as the iPhone gained traction on the consumer side, more and more enterprise workers began to demand or surreptitiously use their own smartphones for business, often in violation of company guidelines. As the demand grew, the BYOD or “Bring Your Own Device” to work concept was born. The thought behind BYOD was to make employees happy by letting them use the device of their choice while saving the company the costs of purchasing and stocking company-owned smartphones. BYOD quickly reached critical mass in 2010 as CIOs felt those device cost pressures. Gartner forecast that by 2017, at least half of all US enterprises would deployed some type of BYOD program. It seemed this trend would continue unabated. There was, however, a catch. Businesses began to realize how much control they were losing in BYOD — after all, they were employees’ smartphones – and maintaining company security and compliance standards were becoming challenges, particularly in the face of mounting cybercrime. As a result, the inevitable backlash occurred. Within MetTel’s customer base of several thousand organizations, more than half who have tried BYOD are returning to a corporate-owned policy, citing greater security, preservation of data and regulatory compliance as key motives, not to mention data plan cost controls and better employee productivity. And government organizations are the least likely to approve BYOD programs due to compliance mandates. While MetTel can help companies deal with this dilemma from both sides, we strongly advocate the corporate-owned approach as we can now have employer-issued iPhones 8, 8 Plus and soon X, fully provisioned and secured within minutes, just two, actually. With MetTel’s unique Universal Device Enrollment Program and “two-minute drill,” any new or existing device is controlled from a single source that allows for efficient enrollment, restriction, deployment, and control through MetTel’s customized portal. One point of contact now manages all of the customer’s Tier 1 network providers. This means that over-taxed, under-resourced IT departments no longer have to reconfigure and enroll iPhones for each carrier network they need to connect to. Device enrollment is done once on the MetTel network – automatically when the phone powers on – so the employee receives their new phone all prepped and ready to go with security and key business apps all pre-loaded. MetTel’s automated system configures and deploys all major backend systems – Apple DEP, Auto-enrollment, Active Directory, Microsoft Exchange, AirWatch, MobileIron, SOTI, MaaS360, to name a few. This automated process happens in two minutes –when the employee first powers on the phone. MetTel’s Mobile Device Management (MDM) software locks down the device with market-leading security software while controlling roaming charges and blocking non-business content. MetTel’s MDM allows the client to geo fence — shut down or enable certain functionality in their devices depending on location — and whitelist certain applications and content. MDM administrators can remotely manage devices including wiping them clean to prevent proprietary data from being leaked in case the device is stolen or lost. 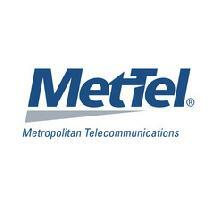 As an official Apple Authorized Carrier and Reseller, MetTel becomes one of only a handful of telecommunications carriers in the US to team up with Apple in the enterprise market. Last year, Apple announced its iPhones are used by one billion consumers worldwide, providing numerical evidence of iPhone’s widespread use. Now that the question of BYOD has been answered – in two minutes – and the concerns of enterprises over security, compliance and speed to productivity alleviated, no doubt the floodgates will open for business-issued iPhones. Here’s to the next billion!